When Tim Szymula was alive, he made a huge impact on youth hockey in Brevard County, Florida. Even after his passing at age 45 following a courageous battle with pancreatic cancer, Szymula’s hockey presence has endured. Szymula directed a portion of his life insurance to be used to start a youth hockey program. He died in May 2007, and by September, Tim’s Kids was up and running. Tim’s Kids used to run an intro hockey program, along with special hockey and sled hockey. However, when ice time became extremely difficult to secure, Tim’s Kids had to drop its intro hockey. “Ice time is a challenge, just like for any hockey team,” Szymula said. The players get a chance to skate once a week at the Space Coast Iceplex in Rockledge. 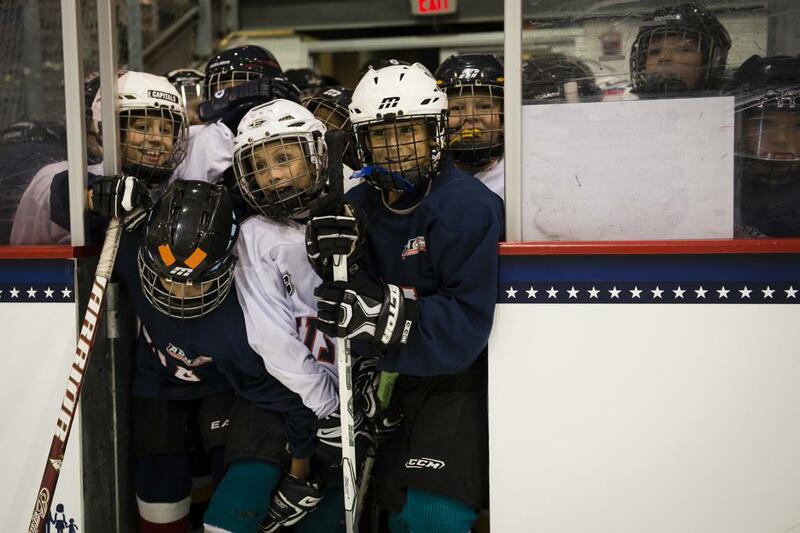 Kids who play in the program are outfitted from head to toe with free equipment, and most players are brand new to the game when they join. With the more specialized programs, Tim’s Kids can focus on its two areas. The special hockey program — which includes players with a wide spectrum of disabilities — is the only one of its kind in Central Florida. There are 17 youth players ranging from age 5 to late teens. Numbers for the special program have stayed the same over the years, but that’s what Szymula likes to see. Ninko tries to get the special players as much one-on-one instruction as possible. Since there aren’t any other special programs in the area, the kids aren’t able to play games against other programs. Ninko has a different goal for every player he works with. He might have a kid with Down syndrome who might only have one mission: try and skate from one side of the rink to the other. But a kid with autism spectrum disorder might legitimately be able to learn as much about hockey as possible. Ninko is hoping in the future to develop more junior coaches for the special program. “I find that the junior coaches, the ones that I can get to communicate, some of the kids tend to gravitate towards them a little bit more — bantam and midget-age coaches, 15 and 16 years old,” Ninko said. The sled hockey program has been on the rise recently. Its numbers have spiked to 41 players: 23 youth and 18 adults, including two disabled veterans. The sled program — which has two teams, one for adults and one for kids — practices on Sunday nights. It also travels to four to five tournaments each season and scrimmages local teams. The team plays under the name The Space Coast Blast Sled Hockey Team. To help pay travel expenses for tournaments, the sled programs hold a number of fundraisers per year, including a fishing tournament, fish fry and Oktoberfest event. Everything is going well with Tim’s Kids and the goals of the program are being met every day. It’s special for Szymula to see smiles on kids’ faces playing the game her late husband so thoroughly enjoyed.